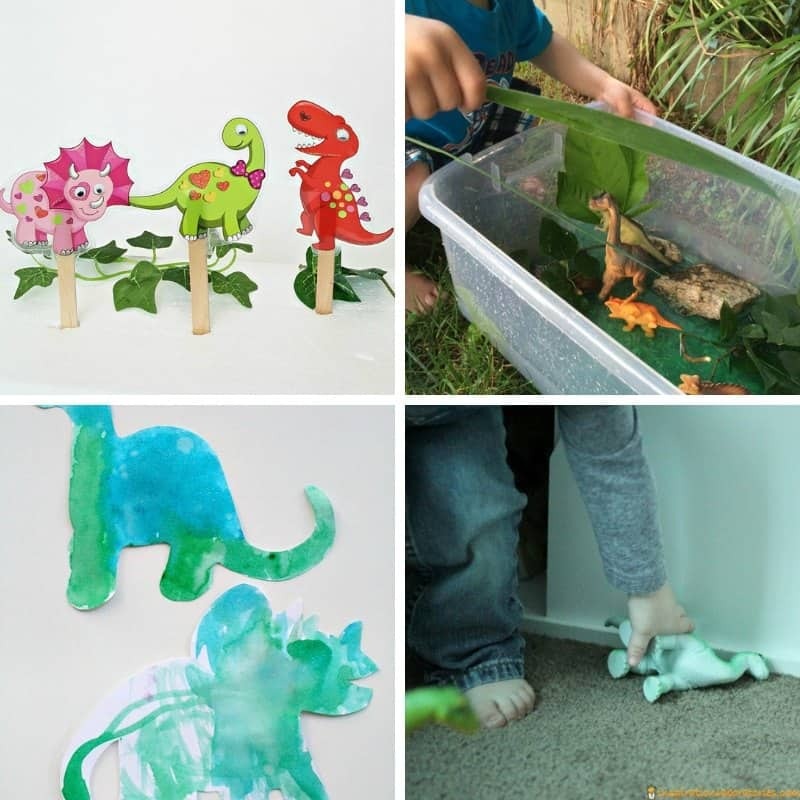 If you are looking for dinosaur activities for toddlers, then this is where you need to be! 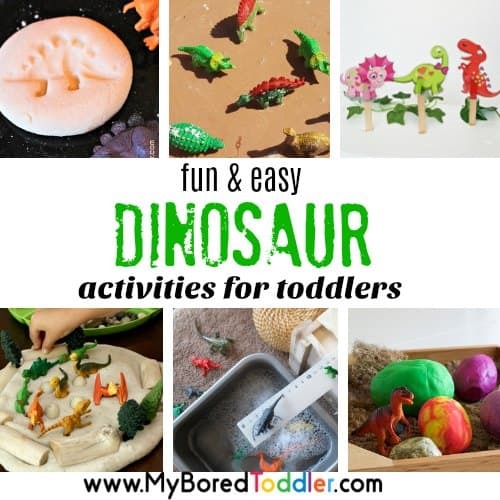 We’ve found some super fun, pretty easy (a few are more tricky than others) dinosaur activities that are perfect for the toddler and preschool age group. 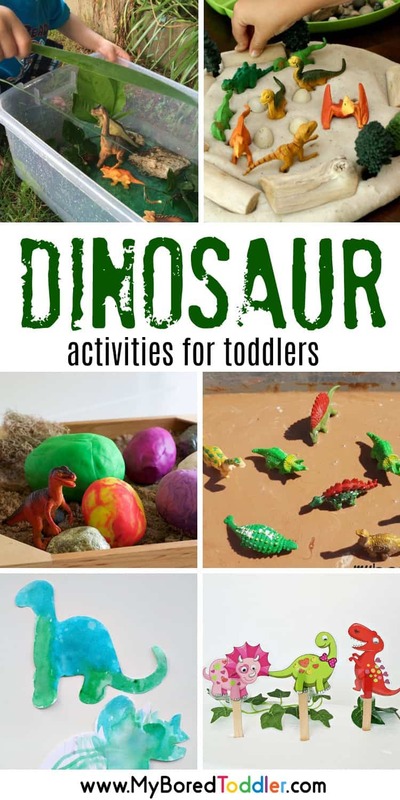 I’ve yet to meet a toddler who doesn’t love dinosaurs which makes this theme so perfect! 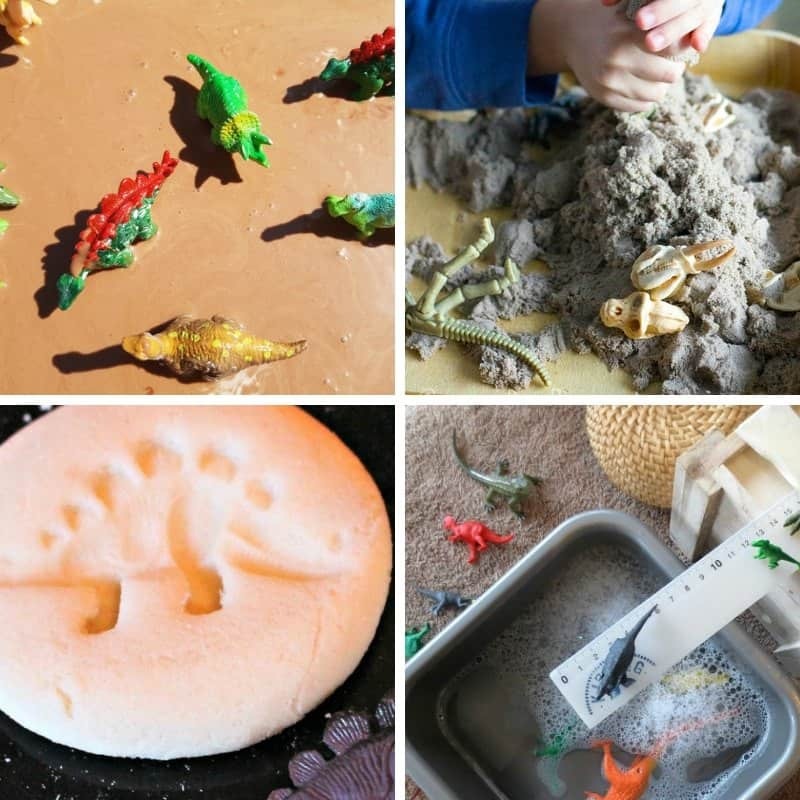 Our dinosaur toys are some of our most played with items (especially THESE toy dinosaurs). 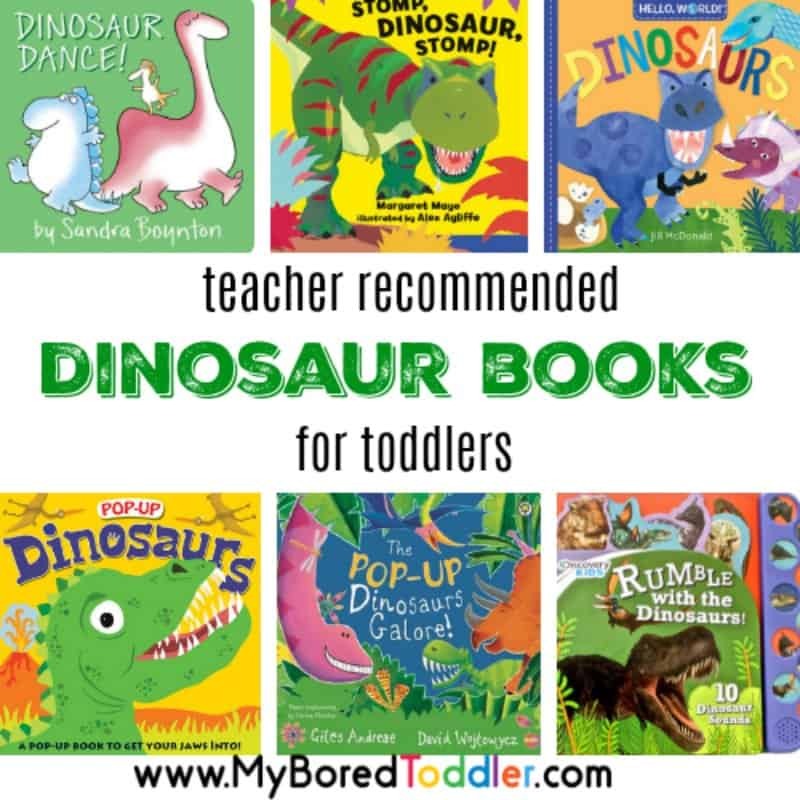 It’s perfect to team up with a great collection of toddler dinosaur books too. 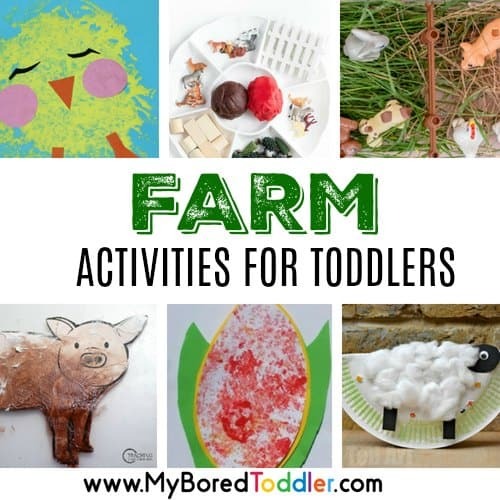 For these activities we’ve taken the hard work away and have found 12 fantastic toddler activities with a dinosaur theme. 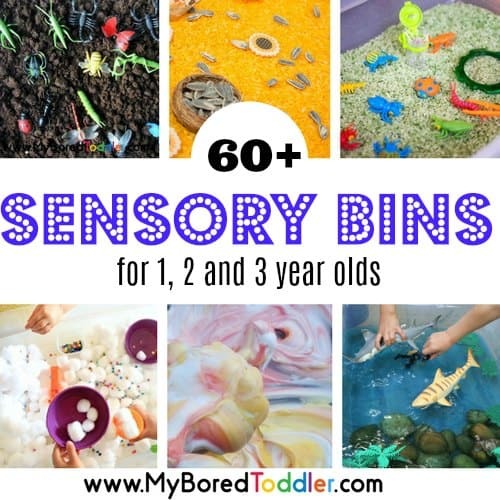 If you try any of thee I’d love you to share them over on Instagram (use #MyBoredToddler) or in our Facebook group. 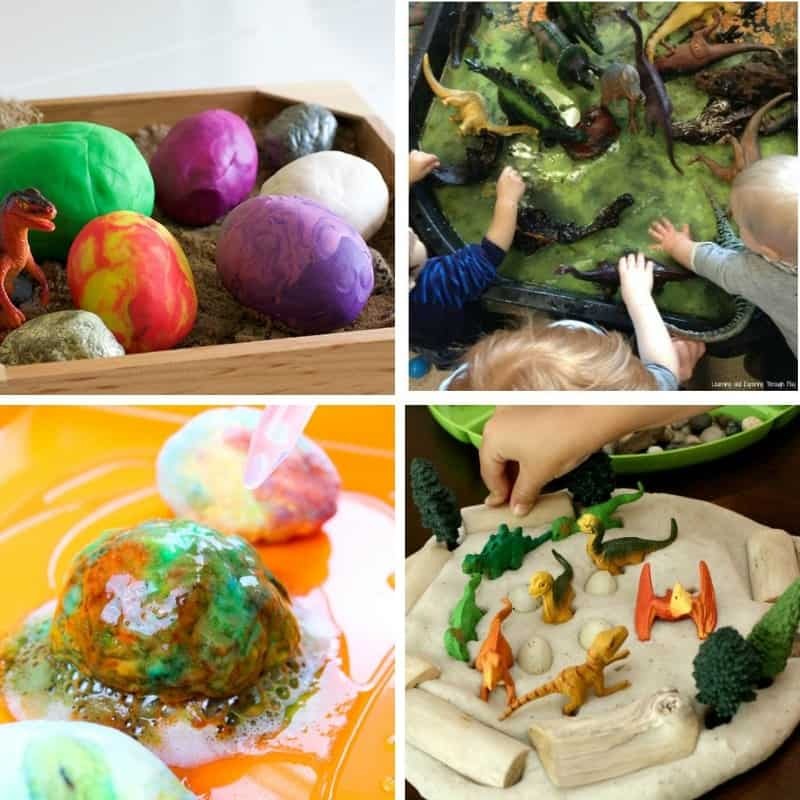 I would love to see some photos of the dinosaur activities for toddlers that you have enjoyed – share them in our Facebook group or tag us on Instagram (@myboredtoddler) and use #MyBoredToddler so we can all see your pics. You can also subscribe to our weekly newsletter and follow us on Facebook, Twitter , Pinterest and Instagram.